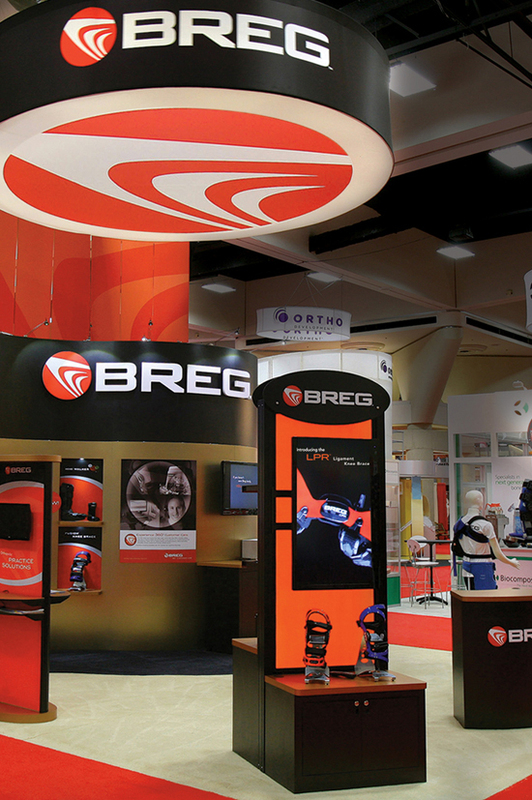 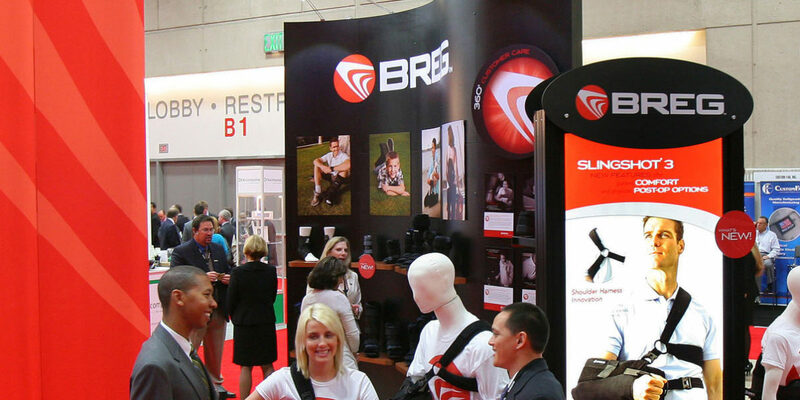 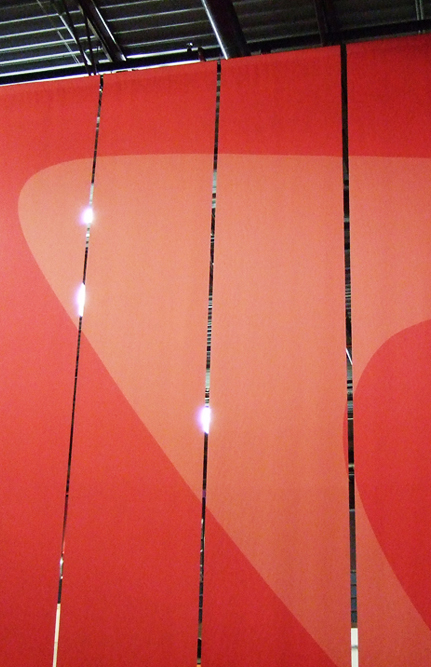 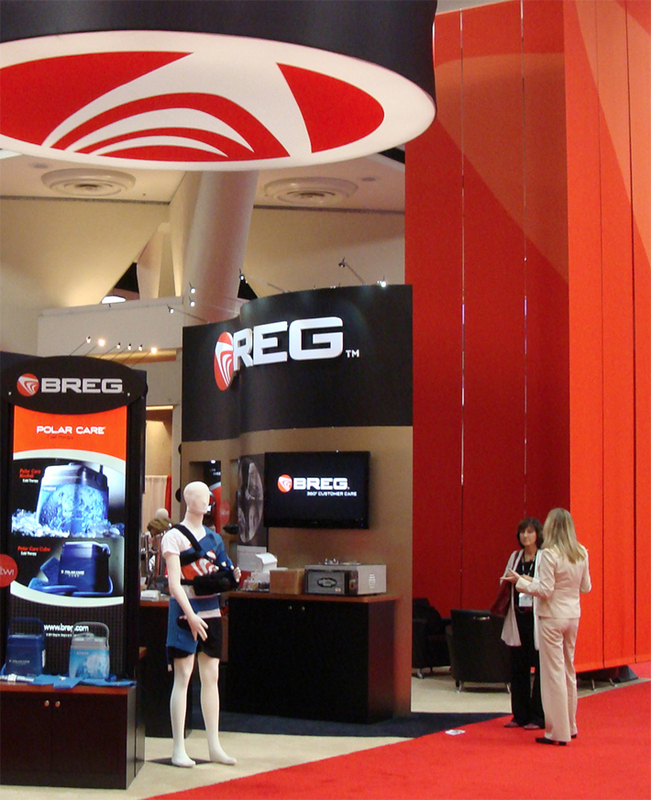 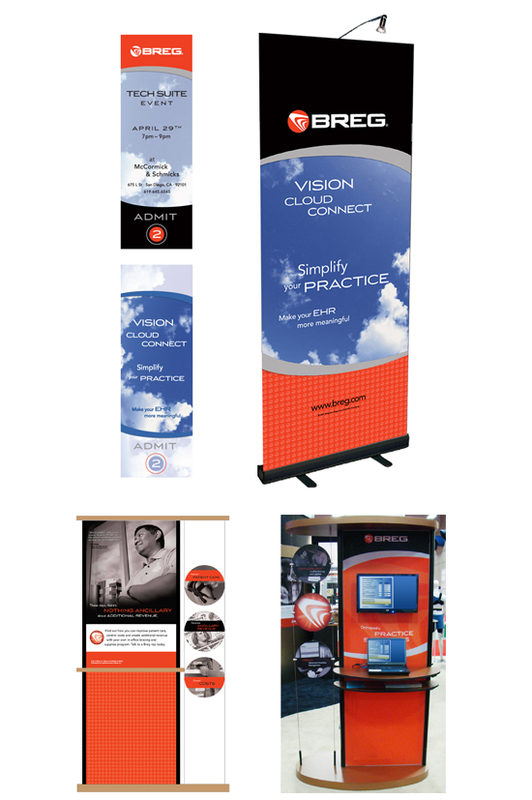 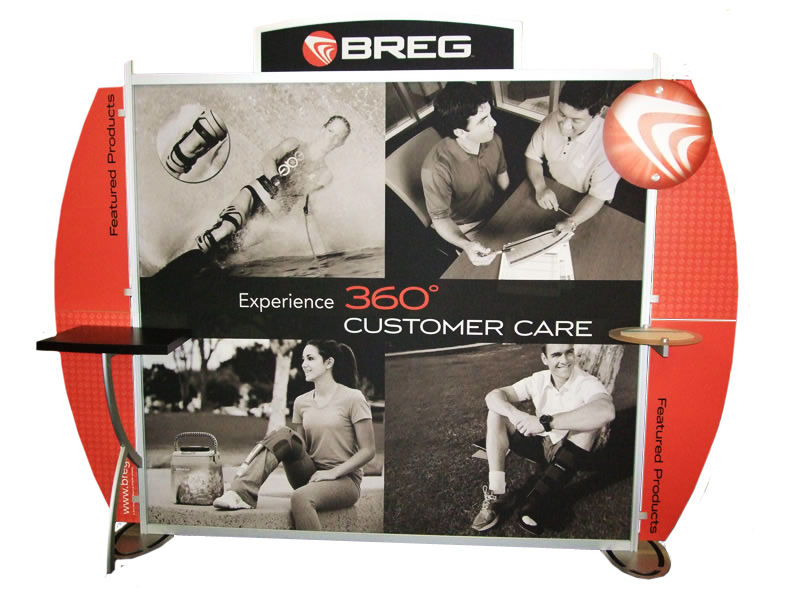 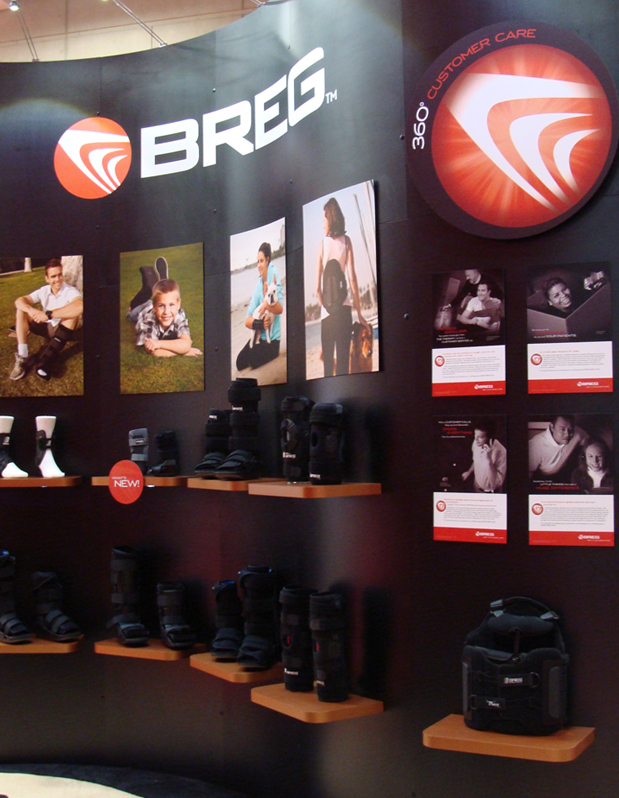 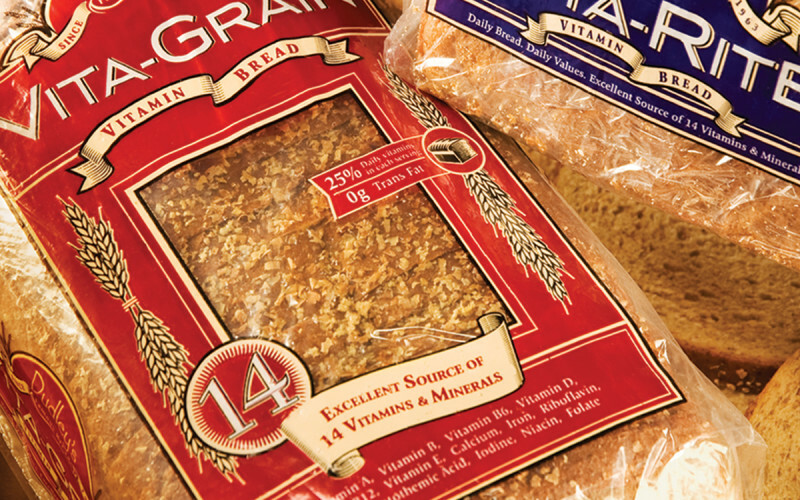 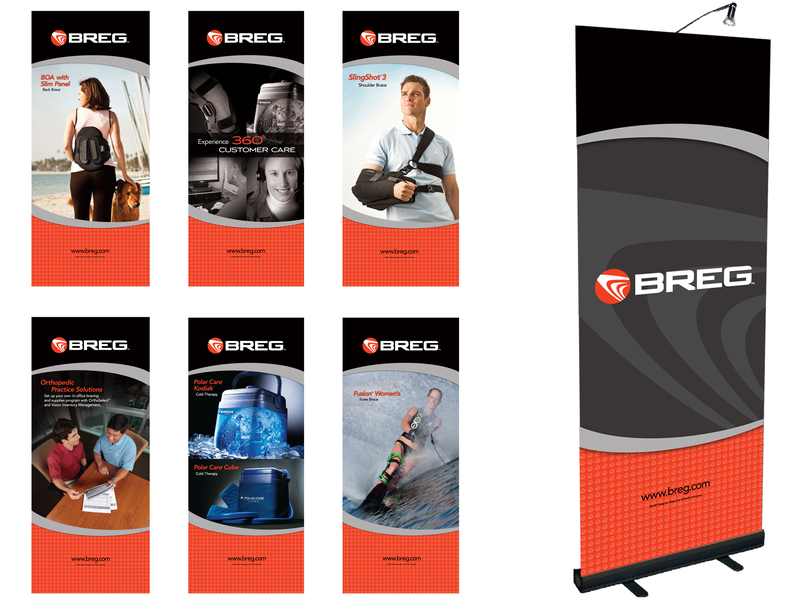 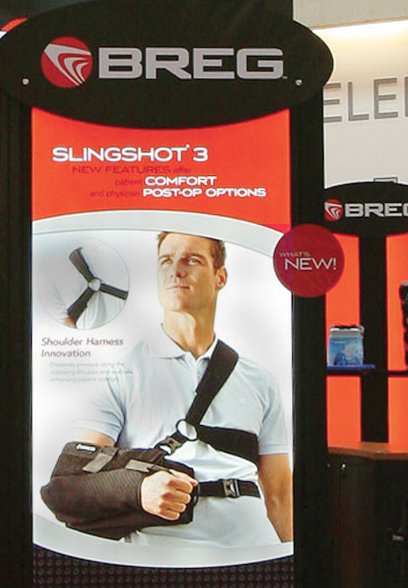 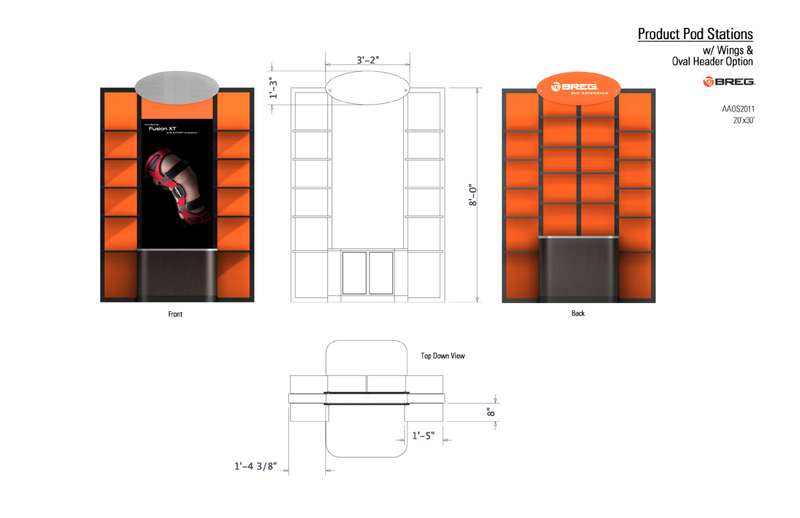 COE Design created a new 20’ x 30’ booth structure design to introduce the new Breg brand and highlight new products. 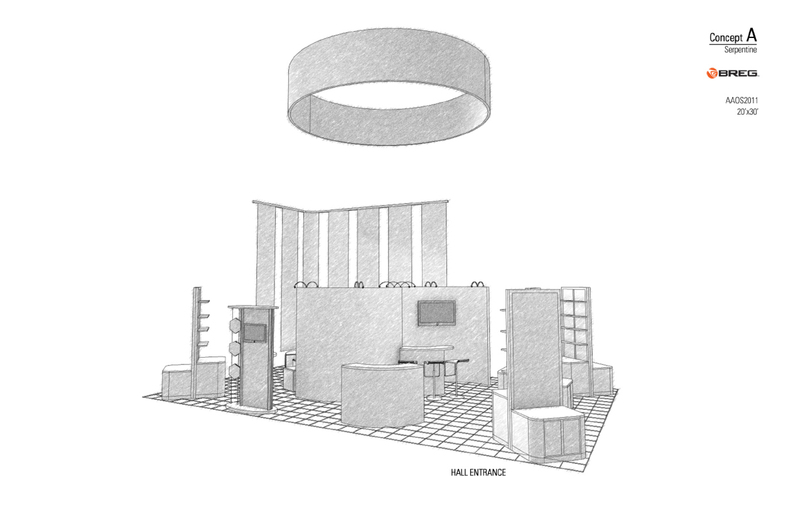 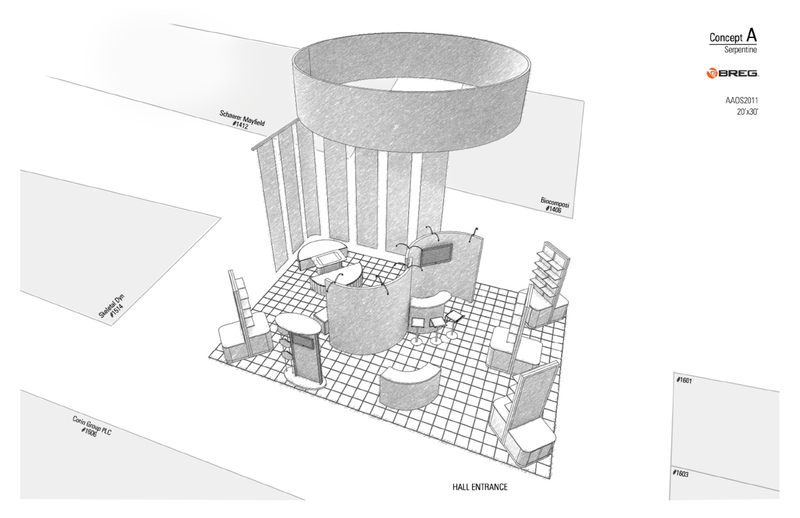 The booth could also be reconfigured as a 10’ x 20’ or a 10’ x 30’ in-line booth. 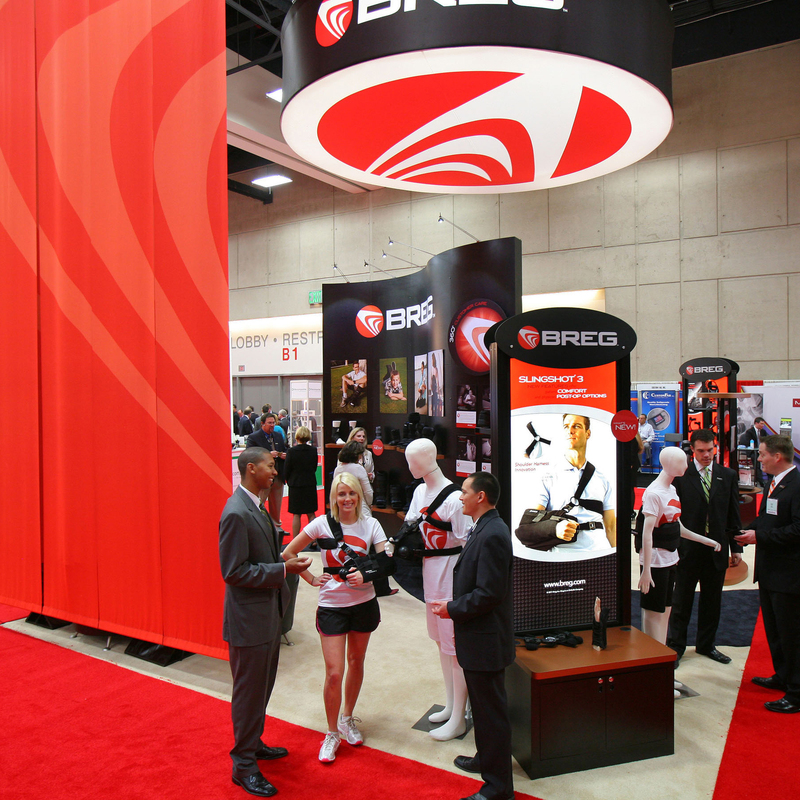 The booth rollout included the structure concept designs, floor plan, illuminated suspended logo sign, coloration and materials, signage, 30’ tall hanging banners, interactive kiosks, product intro videos and product displays. 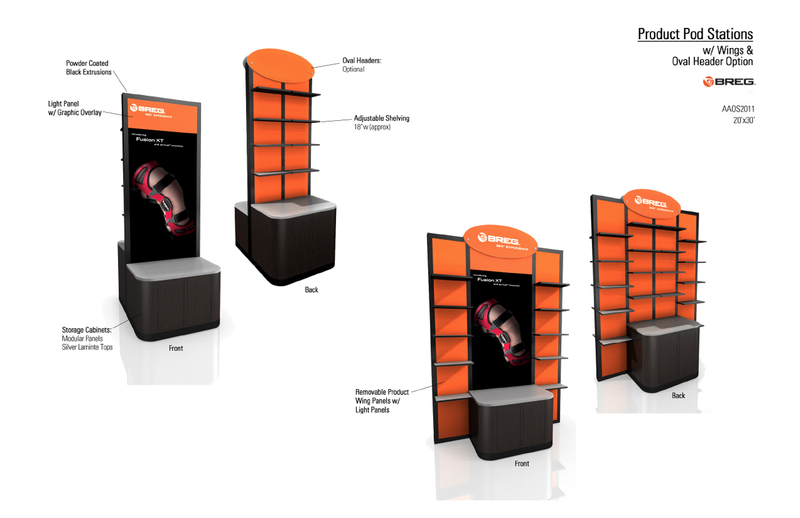 In the end, the redesign of the new booth completed the full brand experience for the client, employees and clientele.